"Bone of my bone, flesh of my flesh; fruit of my age-long mother pain." I saw this come across the news the other day. It’s an article titled, “Kaepernick’s birth mother speaks of trying to connect with son” by Katie Dowd. As you can imagine, the article is about the 49’s quarterback, Colin Kaepernick and his “not-real mother,” Heidi Russo. You know the pretend one that just birthed him, like any old brood sow could do? Yeah, that not-real mother. (Sorry about the snark this early in the morning. I don’t have my filter on yet.) I decided to highlight some of the comments left by readers, just in case anyone was wondering if people’s attitudes about not-real birthmothers/birth mothers is any different once the child is a grown adult. (If you are busy this morning, I can sum it up so you don’t have to read all the comments: Nope, nothing changes in people’s attitudes about not-real mothers if those not-real mothers have waited a lifetime to reconnect with their now-adult children. Enjoy with a cup of strong brew this morning (and perhaps a barf bag). P.S. I’ll save my personal commentary so others can draw their own conclusions about the comments. Welcome to this leg of the Found: A Memoir book tour. If this is your first time dropping by Letters to Ms. Feverfew, it may be helpful to know it is not like a typical blog. Rather, it is series of letters I have written to my daughter, relinquished for adoption in 1993. I decided to stay with this convention when I wrote my book review and answered the questions posed by other book tour participants. You can read more about me here and why I write these letters here. Thank you for stopping by. I hope you find something worthwhile during your stay. ~ M.
This is going to be long so grab a cup of tea, make sure your laptop is fully charged, and find a comfy cozy corner in which to curl up. Be certain you are well situated before diving in. It was the peak of summer season and I was between homes, neither here nor there. Rootless and wandering between where I had been and where I was headed. All of our household effects were stored somewhere in a warehouse in northern Virginia and we were living in temporary housing that butted up against the York River. I had just graduated with my Ph.D. and my life was stripped bare of all the trappings of domesticity and academic study. And so I read. A lot. I read Being Adopted: The Lifelong Search For Self. I read Lost and Found: The Adoption Experience. I read The Journey of the Adopted Self: A Quest for Wholeness. I read Adoption and Loss: The Hidden Grief. I read 20 Things Adopted Kids Wish Their Adoptive Parents Knew. I read The Primal Wound: Understanding the Adopted Child. I read Family Matters: Secrecy and Disclosure in the History of Adoption. I read The Baby Thief: The Untold Story of Georgia Tann, the Baby Seller Who Corrupted Adoption. I read Adoption Healing: A Path to Recovery. I read Coming Home To Self: The Adopted Child Grows Up. And I spent a lot of time crying. Immersed in the literature of adoption recovery, I was awash in a river of grief. What had I done to you? I was drowning, choking on the question, “Dear God, what have I done to my daughter?” The literature was confirming what I already knew at a cellular level: adoption, at least for us, was wrong. Completely and totally wrong. Utterly and absolutely wrong. It was my culture’s permanent and brutal answer for the temporary crisis in which I found myself. 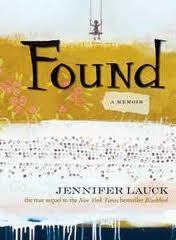 Then I read Found: A Memoir by Jennifer Lauck and I stopped crying as much. In her tale I found a way forward. I found hope. It isn’t so much of what she said, but how she said it. Found: A Memoir is a profoundly moving story of an adoptee’s journey to find her first family and ultimately, to discover herself. What makes her story different is that Found: A Memoir is infused with a level of generosity and self-awareness rarely found in adoptee memoirs. This generosity is like the finely aged Tahitian vanilla I have secreted in my kitchen pantry. Sweet, warm, floral, and delicate but never cloying. When used in spicy or acidic savory dishes, vanilla cuts the heat and acidity by half while imparting the warmth only vanilla possesses. In savory dishes, it is harder for the pallet to distinguish the vanilla, but it is still there, lifting and lightening the dish. This is the quality infused throughout the majority of Ms. Lauck’s book, rendering an otherwise acidic and difficult story more edible. And edible it was. I devoured it both times I read it. The first time through I didn’t even stop to sleep or eat. I just read, like a mother newly delivered of her babe and starving for something of substance, some thing more than the ice chips that had been parsed out by Attila the Nurse during labor. I was hungry and it was hope that wafted up from the pages of the book. It was vanilla scented hope that allowed me to digest the difficult and dangerous passages where Ms. Lauck spoke plainly of hard truths, truths that only adoptess can know and tell. It was vanilla scented hope that tasted of forgiveness and healing. It was a flavor, which, for the first time, helped me understand that perhaps you – my own daughter – might forgive me for what I had done to us. And so with wonderment at the synchronicity of an adoptee’s experience with my own as a mother who relinquished a child for adoption, I answer three questions asked by other tour members. I know what I write will make some adoptive parents extremely uncomfortable and perhaps even angry. And also I know by writing these things, I run the risk of being labeled “bitter” and “anti-adoption” even though I am neither of those things. But the truth calls me out; I have the luxury of writing with the freedom of one already marginalized by the dominant culture, of one who can risk everything because she has already lost everything. Q1: On pp 17-18, Jennifer talks about a baby searching for her mother after being born. How did this sensory-rich passage strike you? What thoughts did it trigger about the role you play in adoption? Trigger would be the right word. One of the hardest things for me has been to come to terms to with how adoption may have affected you from a life-long developmental point of view. I first became cognizant of the potential negative affects when I was in a human development class and we were studying attachment theory across the life span. Disrupted attachment bonds can profoundly affect a person’s willingness to explore their environment, thus reducing exploration and help seeking behaviors and ultimately impacting learning. Reading the original writings of John Bowlby and Mary Ainsworth convicted me and set me on a path to seeking a deeper understanding of what loss, particularly early parental loss, can do to a person. Taken alone, each puzzle piece is interesting but when examined as a composite…dear God, how could I have been so foolish to believe you didn’t need me? And how can this culture go on thinking that somehow, magically, an adopted infant’s brain and body are exempt from these same physiological responses? But back to us: I wasn’t a crack whore. I wasn’t abusive. I wasn’t neglectful. I didn’t drink. I didn’t smoke. I wasn’t sleeping around. I was simply single mother, going to school, trying to build a life for our little family. How and why did I buy into the NCFA’s glossy literature that you deserved more than me? That you would be better off being raised by people who didn’t smell, sound, or move the right way? Yes, you adapted, but at what cost to your psyche and your soul? So as you can see, trigger was the right word to use in that question about how those pages affected me. Q2, part 1: Jennifer writes a lot about the first moms biological bond with her child. She writes of this bond as primal, almost as if adoptive moms will never be able to completely bond with their children… Adoptive mothers have to be honest with themselves: they will never have the same deep biological connection with their adopted child their child’s first mother. Irrespective of the depth of her love for this child, her mitochondrial DNA does not power every cellular process in her adopted child’s body. Her heart does not beat to the same rhythm within a second of locking eyes with her adopted newborn, her voice will not cause the language recognition centers in her adopted newborn baby’s brain to light up like the Milky Way. She will not smell right or taste right or move right to a tiny babe. They will never share the bone-marrow deep connection that a first mother has with her child. This primal bond is a gift the first mother is given. These are hard truths for some adoptive mothers to accept, but that doesn’t make them any less true. However, in spite of these hard truths, adoptive mothers can bond with their children. With love, time, and consistent responsive care-giving, a mother can forge powerful bonds with her adopted child, bonds that can be just as strong as the primal ones. This is the gift that adoptive mothers are given. One can only surmise what Lillie writes is equally hard for some adoptive mothers to read as it was for me but still…but still these are the testimonies of those who adoption is supposed to be helping. We cannot continue to dismiss them and marginalize their voices while paying lip service to adoption “reform”. We must listen to them. We must learn from them. An adoptive mother can begin to honor and respect their child’s need to mourn the loss of their first family by doing the same for now-adult adoptees. Learning how to listen and honor adult adoptees’ voices now may be one of the best things an adoptive mother can do for her child in the future. After all, her adopted child is going to grow up in a few short years into an adopted adult. If anything, it will give them a lot of practice in letting others tell their truth and not taking it personally. As the adopted child grows and matures, she can help them find ways to honor and respect their original family (even though this can be very hard in situations where a child was available for adoption due to abuse or neglect – I know this first hand, but I also know it can be done). She can tell them the truth, with love and compassion for their hearts. Respect their humanity. It’s all any parent can do for their child, adopted or not. Q3: What did you believe was the take-away message of this memoir? Did that idea change for you when you read the afterward? Adoption is hard. Reunion is hard. But there is hope for healing and eventually the ability to move through the experience. I believe things will not and cannot improve until we start listening carefully to what adult adoptees are saying – even the difficult, upsetting parts – and extracting lessons from what they can teach us. This idea did not change upon reading the afterward. In fact, if any thing, I believe Ms. Lauck lays out a fairly humane and comprehensive agenda for reform when she says, “Adoptive parents must be better informed. Birth mothers must be better informed. Adoptees must be better informed” (p. 264). The only way we can become better informed is to listen – truly listen – to others stories. Especially adult adoptees. After reading Found: A Memoir last summer, I had to walk around for a few days and let it ruminate in my belly. I was satiated and couldn’t read anything else for about a week. No adoption related books. No academic articles about learning theory, attachment, or problem-based learning environments. No memoirs, no classics, no slim volumes of poetry, no micro-histories about the color of mauve or the writing of the Oxford English dictionary, no books about pre-War II Germany, no histories of our founding fathers. It was just me and Ms. Lauck during those final days of our stay in the temporary housing. The high summer heat broke our last day in the Tidewater. Early that evening, before the sun had slipped entirely behind the treeline, I laced up my pink and grey New Balance shoes and took myself for a walk in the opposite direction along the river. As I rounded the last curve before the beaver pond, I saw a pregnant full moon beginning to bloom over the Atlantic. She moved carefully and slowly around the corner of the horizon, taking her time to not upset the balance of the gravitational forces tethering her in her fixed path. I audibly gasped at her sheer beauty when she finally broke free from the curvature of the earth. She slowly cleared the span of the Gloucester Bridge, releasing me from her spell, and then I turned for home. When I got closer to the temporary housing, I could see your youngest brother dashing home from the pool behind his father. I hurried to catch up to them, my feet falling on the wet footprints left by my husband on the warm sidewalk. Did you see that moon rise!? It was – it was breathtaking! I mean, it almost made me cry! Oh man, you guys really missed out on one of the most spectacular things I have ever witnessed. Much like my husband and son missing the moonrise, I realize readers’ reaction to this book may be the same. It will affect each person differently, dependent on their position in the adoption constellation and whether they are paying attention or just hanging out in the pool we call life. And you know what? That is OK. We are all at different points on this journey and sometimes it is nice to just float on our backs and enjoy the warm water. But I’ll be honest, it sure was nice to have witnessed something so beautiful. *All research claims will be addressed in subsequent letters, providing references and a brief discussion of how the study findings might impact an adoptee. To continue to the next stop of this book tour, please visit the main list at The Open Adoption Examiner. Jennifer Lauck, author of "Found: A Memoir"
Did you know that since 1987, Utah has an active mutual consent adoption registry? This means if both you and I fill out the forms, send in our birth certificates, and $25, they will share identifying information with each other AND release your adoption records, including your original birth certificate? Not just for me and you, but if your brothers and sisters want to register, they can as well. Did I mention it has been around since NINETEEN EIGHTY SEVEN? I know it isn’t perfect by any means, but why haven’t I known about this before? Don’t you think that SOMEONE (ahem, STUPID LDSFS PEOPLE) should have mentioned this little, teeny, tiny tidbit of information to me? Don’t you think SOMEONE should have printed out the forms and said, “Hey – why don’t you fill these out so your daughter can get her original birth certificate?” Oh, that’s right. Because then they would have had to explain sealed records, falsified birth certificates and all that jazz. 1987, people – 19freakin87. I wonder how many other first mothers who relinquished in Utah know about this registry and have actually registered. Or how many were just as clueless as I was until about 20 minute ago? Do you know about it? Do you know that you can have access to your original birth records when you turn 21 if your mother has joined the registry? Do other adoptees know about it? WHY NOT?????? At first I wasn’t going to register – we already know each others name and contact information, why spend the $25 and go through the hassle? I have a copy of your original birth certificate, which I have always planned on giving to you – especially since the tightened security rules will make it nearly impossible for you to get a passport without it. But then the thought went through my mind: Ms. Feverfew needs to have access to it, on her own, independent of me. Just like I am able to do, you need to be able to fill out a form and get your original birth certificate without anyone hassling you about it. It’s your right; your birth right. So sitting in front of me right now is the form, all filled out. I just need to have it notarized and then I will send it in. 1987. This registry has been around since 1987. There’s not much I can do to help you along the path you are walking, but this? This I can do. P.S. Edited to add this: I just spoke with an amazing mama who relinquished her baby for adoption in Utah through LDSFS within the last year or so. She has never heard of the Utah Mutual Consent Adoption Registry or the fact that her child can gain access to their original birth certificate ONLY if she registers. Huh. I thought adoption was so “different” nowadays than it was “way back when.” I guess the more things change, the more they stay the same. Babies still loose their mamas, mamas still lose their babies, and no one tells the mothers or the adoptees about being able to access the adoption records or OBC. IF YOU ARE AN FIRST PARENT OR ADOPTEE FROM UTAH, HERE IS THE PDF FORM . FILL IT OUT AND SEND IT IN. TODAY. Are Facts Stubborn Things or are Lies “Well-Rounded” Points of View? Good night, why do I do this to myself? I will be sailing along and then on a whim, decide to go drop by the R House, just to see what’s up in Adoption Nirvana. 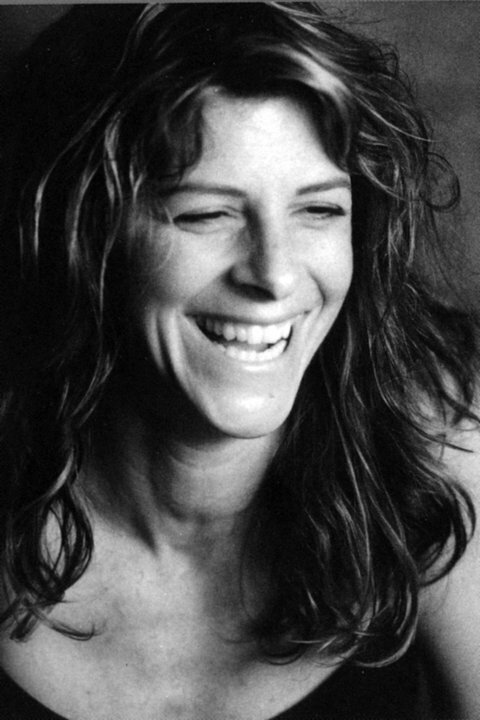 Lindsey, the blog author, recently posted about Steve Jobs’ passing. As an Apple devotee, I thought it was a nice tribute. Until I followed the links. Uh….so how much of this story is a fabrication? Well, pretty much all of it. “When Steve Jobs was born February 24, 1955, in San Francisco, California” – all true, but after this point it pretty much falls apart. “his unwed mother decided to put him for adoption because she wanted a girl” False. According to his natural parents, Steve Jobs was placed for adoption because his grandfather forbade his parents to marry. In short, his grandfather was a racist and didn’t want his white daughter marrying a Syrian. “So in the middle of the night…” Whew – a bit more truth finally! His future adoptive parents did get a call in the middle of the night. Steve Jobs said, “So my parents, who were on a waiting list, got a call in the middle of the night…” But it most certainly wasn’t from his first mother. It was most likely from an adoption agency representative. While good, decent, and loving parents, Paul and Clara Jobs were no one special – they just got the next baby in the que. “his mother called a lawyer named Paul Jobs…” Paul Jobs was Steve Jobs’ adoptive father, but he was not a lawyer. He was, in fact, a high school drop out and a machinist. (Not that there is anything wrong with dropping out of high school – I did myself and now hold a PhD). And to reitterate, it was most likely NOT Joanne Schieble who called Paul and Clara Jobs in the middle of the night. It would have been a representative of the adoption agency calling the next people in line. “…and said, “We have an unexpected baby boy; do you want him?” According to Steve Jobs in the commencement address, this is how it went down so I will take his word for it since it was er..uh…HIS LIFE STORY. And of course, Paul and Clara Jobs jumped at the chance and the rest, as they say, is history. But Lindsey, how is a lie a “well-rounded POV”? We have the TRUTH about his life, from Steve Jobs’ *own* mouth. Is it respectful or right to let others reconstruct his truth simply to provide the allusion of a “well-rounded” point of view? Lies are never “well-rounded” points of view. They are always lies. Would you stand for the same treatment of your own adoption stories? Would you be perfectly fine with someone posting a bunch of links, some with outright lies on them about your beloved birth mothers, simply to give a “well rounded POV” of view of you or you children’s experience? Let me repeat: Lies are not “well-rounded” points of view, whether they be told about Steve Jobs or about your own children. And I really feel that way. Adoptees should have the final word on what their adoption story is and how adoption affected them. I hope that you are able to find your voice and find a tribe of people who will respect and honor your voice – even if the TRUTH makes them feel uncomfortable. I see what you are saying, Melynda and would be happy to remove that link. Thanks for the comments. To which I say Thank you, Lindsey. I fervently believe adoptees should have the last word about their life and their experience, even if it doesn’t fit our agenda. Not really news to those of us who read widely and carefully in this area, but hey, what do we know? We are just a bunch of bitter…wait a minute. Actually, we aren’t bitter at all, just realists willing to face bitter Truths about adoption: it isn’t always about pony rides in May sunshine. And sometimes the Truth is a hard thing to accept. Tell me something I didn’t already know. Unfortunately, I didn’t know this in 1993 – I thought I was doing something “honorable, heroic, loving, and courageous.” I now know it wasn’t truly a loving choice for us, but back then I didn’t know the impact adoption would have on your life. If I had, I would have made very different decisions. Wow. That’s quite a list. How much at risk you might ask? Yes, you read that correctly. According to the U.S. government, adopted children are 2.4 times more likely to have severe to moderate health problems than their peers. What kinds of health problems plague these “chosen” sons and daughters of our country? In light of these latest sobering statistics regarding the impact of adoption on the adopted, the success of these amazing women – Lost Daughters – is a testament to the resiliency of the human spirit, to the tenacity of their souls. I am grateful and honored to be called friends by some of them. As you make your way down this crooked and stony path the adults in your life set you upon, I hope you are able to find mentors such as these women who can guide you along your way. If you have tender ears, please be advised about the language content on her blog – she’s real, she’s raw, and she uses language that you aren’t going to hear in a Relief Society lesson. Be forewarned but also know that what she has to say is terribly important. Take the time to go read that blog post. You will be glad you did. P.S. THANK YOU Ask an Adoptee over at Facebook for pointing me to this important and provocative blog post! Once again, I am quite perplexed. The top leadership in the LDS church understands that we have “a natural yearning to connect with our ancestors.” However, many adoptive parents and members of LDS church still think that an adoptee wanting to reconnect with these “generations of parents ” is aberrant behavior. Adoption does not erase the generations of natural/first/birth/whatever you want to call it parents that came before that child. Connecting with those people changes us and helps us understand how we fit into a larger existence. If an apostle of the Lord understands this, then why are so many LDS adoptees treated poorly by the general church membership when they decide to search for their first families? Nelson, R. M. (2010). Generations Linked in Love. Ensign, May 2010. p. 91-94. Et tu, Steve, et tu? I guess because I have been living under a rock for the past 38 years, I had no idea that Steve Jobs of Apple/Pixar fame is an adoptee. Huh. Who knew. Well, other than the whole rest of the world. Turns out people have decided he is much more like his biological parents than his adoptive parents. (No big surprise there since intelligence is a heritable trait). Turns out his parents got married a few months after he was placed for adoption and went on to have one more child, a successful genius/writer named Mona Simpson. His sister is married…to a man whose last name is Appel. No joke – you can’t make this kind of stuff up. Of his relationship with her, Jobs says only: “We’re family. She’s one of my best friends in the world. I call her and talk to her every couple of days.” After meeting her and noting their striking similarities, Jobs firmly decided that nature far outweighs nurture. He loves his adoptive parents but still wanted to find his biological family. Seriously, how on earth did I miss this information? (Asked as I type on my 24″ Mac with my iPod charging). National Adoption Awareness Month ~ Day 2: What Does it Feel Like From Where You Stand? I have often wondered what November feels like from your point of view, especially since adoption awareness is part of your life’s rhythm. I dare say you don’t need a special month to make you even more aware of adoption. In the past few years, I have come across many articulate women who blog eloquently about their November experiences from their point of view as an adoptee. And I wonder…do you feel the same? Does your adoptive family celebrate National Adoption Awareness Month? Did your adoptive parents take you and your four adopted siblings to rallies, demonstrations, and events to “celebrate” adoption? After all, they are the poster-parents for adoptive parents everywhere. Prominent white community members, wealthy, and educated with their menagerie of trans-racially adopted children trailing behind their picture perfect Mormon home. Nothing could be cuter than you and your sisters dressed up in matching outfits “celebrating” National Adoption Month, right? Though I don’t know for a fact, I am almost certain there have been at least a few times in your life that you, your siblings, and your adoptive parents have been held up as an example of all that is good and right about adoption. From what little I have gleaned about your personality from various sources including conversations with your adoptive mother, you are a thinking woman. I am sure the irony of the month is not lost on you, just as it isn’t lost on many of the other adoptees I have come to know over the past year or two. Celebrate adoption? Really? I believe Amanda over at The Declassified Adoptee; Christina at Out of the Fog; and Linda at Real Daughter have done an excellent job of getting to the heart of the matter: Celebrating the dissolution of natural families is kind of sick and twisted. I wish I had more time this morning to write but life is clamoring at my office door. It’s Election Day which means all of the kids are home with me, including various neighbor children whose moms are working today. There’s laundry waiting to be folded, dishes waiting to be emptied out of the dishwasher (we all celebrated Election Day 2010 by devouring yummy homemade pumpkin chocolate chip pancakes), beds to be made, an adorable cooing baby to be nursed, floors to vacuum, bread to be made, plants longing to be watered, and blogs to read. Lots and lots of blogs to read (thank goodness for smart phones – I catch up on blog reading while I nurse the baby!) Oh. And a dissertation proposal to write. P.S. Have you voted yet?